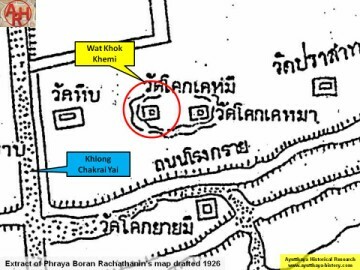 Pratu Chai sub-district, east of the Somdet Phra Sri Nakharin Park. no traces anymore visible of the monastery above ground level. 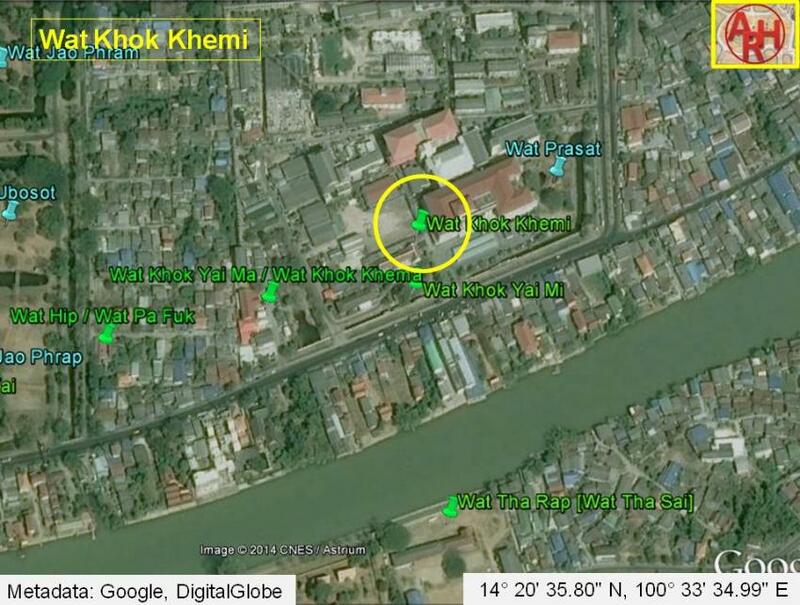 their names indicates (Th: Khok = mound). 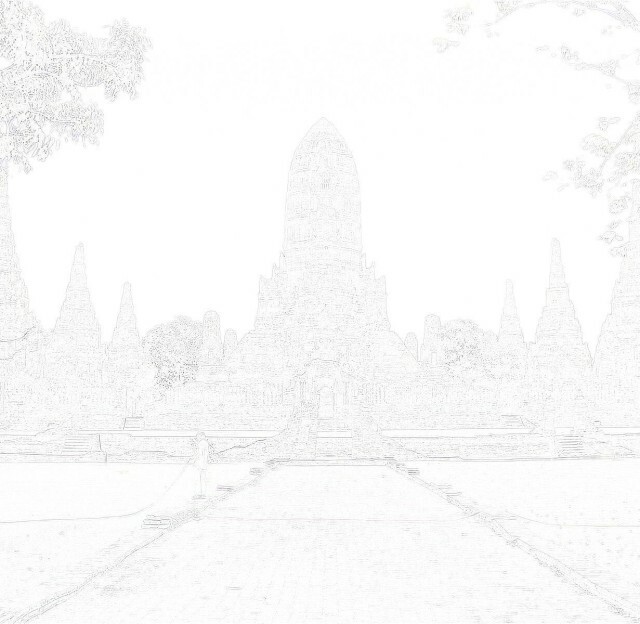 indicated as Wat Noi (วัดน้อย). 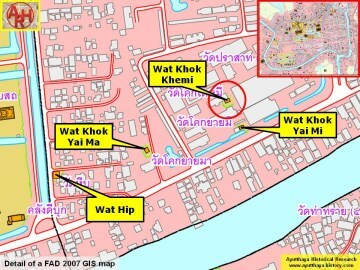 Coord: 14° 20' 35.80" N, 100° 33' 34.99" E. (based on 2007 map).